Ngwana Films Productions is a Kumba based operating film and video production house with Ngwana Eddie Goffi as its CEO, long time producer and filmmaker. 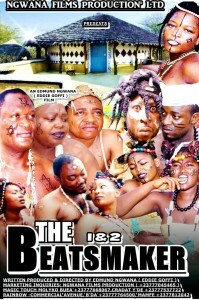 ‘The Beads Maker‘ is one of his numerous much time invested works done released some few days back. The Cameroonian culture – filled traditional movie was directed by Eddie Goffi himself and published by Tah Terence of the Don Studio and Tah Films Production of Kumba. We bring you some excerpts from the movie.